So, you're ready to deploy Android? Think about ensuring security support throughout the extended device lifecycle! Is there a future for loyalty? How R you securing your device? For many years now Microsoft systems have been ruling the computing world. However, lately, Google’s Android platform has taken over as the standard operating system for enterprises. But the battle between the two is not even close. Protecting children has to be everyone's top priority. Especially when it comes to educational centres, parents need to feel entirely sure their children are in safe hands. Whether it is in the school or on a field trip, it is very important to have all children’s data gathered in one place. In a previous article, we have discussed several ways to overcome resistance to RFID when it comes to prospective buyers. However, it has been a rather difficult sell for many end-users. There a few reasons that might be affecting the consumers’ decisions to buying RFID solutions. The challenge As everything is being digitally transformed and becomes more modern, any industry and store need to keep up with these changes and adapt to new technologies. The same was the thought process of a UK high street retailer, who decided to modernize its price markdown system. Healthcare facilities have an equipment problem. In 1995, the average patient had eight medical devices at their bedside. With advances in technology, by 2010 that number had grown to 13, and it continues to grow. Migrating mobile apps to next-generation platforms is an essential process all organizations need to undergo, to meet modern enterprise demands. However, the move is filled with complexity. To begin with, let's discuss the driving force behind this revolution; the changing enterprise technology landscape. Selecting a warehouse printer can be rather difficult as such a printer needs to meet various requirements. Below we present the most essential traits of a warehouse label printer, which you can keep in mind when you are looking for a new warehouse printer. In an "always connected" world dispatch operations rely on dynamic real-time management via location and status tracking of their field technicians. Why? Because it's essential for any company to be able to respond to their customers’ orders on the fly or to quickly navigate capacity and resource issues. How consumer trends effect mobile computer design? RFID: Technology to consider. Here’s why. With increasing demands from buyers and suppliers, it becomes more apparent to have a quick process of picking and sending. With buying large quantities of products such as apparel, chips or food, scanning and picking one-by-one is not the solution. But RFID can step in to help. Pharma fraud is a term that describes several illegal activities involving the manufacturing, marketing, and distribution of pharmaceuticals. One of these activities involves counterfeit prescription of medication. For years, Microsoft systems ruled the computing world. But Google’s Android platform is taking over as the standard operating system for enterprise computing nowadays. In a perfect world, the supply chain wouldn’t need warehousing. But since that perfect supply chain doesn’t exist, the warehouse is an excellent solution to make a company more profitable. But how can you make sure that your warehouse moves along with increasing demand? In a retail situation where price changes occur every day, employees need to be able to print new labels quickly using effective mobile devices. Enterprises today have a huge amount of choice when it comes to mobile technology to support their operations. Can there be a smart city without smart mobility? Making the decision to move from paper-based systems to mobile computing is a key method of achieving better efficiency for delivery fleets. Reynolds, a UK-based supplier of foodservices to some of the country’s leading brands, decided to invest in mobile computers to improve its own service and better manage deliveries. Thanks to thermal printing solutions, many organisations are finding that their printing requirements are no longer a challenge. Take Twickenham Cricket Club for example, where spectators expect to see quick deliveries on and off the field. Did you know that only 12% of organisations with field service workers are ‘very satisfied’ with the technology they use? It’s a shocking statistic, especially as field workers are crucial to achieving two corporate goals: growing the profits of the company and strengthening the customer experience. Companies that sell technology solutions know that our industry is driven by change and innovation. One of the more crucial technologies to be aware of is networking. If your company isn’t offering networking solutions, there are plenty of reasons as to why you should change strategies tomorrow. Mobile devices are changing how businesses operate through automated data identification and capture, making processes more efficient and data collection more accurate. In fact, a study by Enterprise CIO shows that BYOD can boost productivity by 16% over a 40-hour week. Can successfully migrating mobile apps transform an organisation? What does a VAR need to know before selling to a mobile business? In environments where worker assignment optimisation is vital if managers want to meet and exceed expectations, the ‘start of the day’ process should not be overlooked. So, what platform best equips them to optimise worker assignment and dynamic scheduling to meet service level agreements (SLA) with customers? In recent years, rugged handheld devices have become just as intuitive as their consumer-grade counterparts. This shift in the rugged mobile device landscape has been accelerated by a need to increase productivity, efficiency and accuracy in the workplace. Did you know that around 25% of the average forklift driver’s time is spent in receiving and put away workflows? Not so long ago, the dominant systems in the mobile computer world were mainly Microsoft-based. How can the latest mobile devices boost visibility, workflow and productivity? Giving field workers the best device to fit their needs is a key challenge for many businesses. There’s no doubt about it that over the past few years, the trend of Bring Your Own Device (BYOD) and using consumer devices for professional needs has grown exponentially. Smart cities: Are we protected? Measures for efficient management of access to printers not only affect the bottom line, but also reduce data loss and security risks. In 2016, a government agency in the Sub-Saharan Africa region was seeking to upgrade its voter ID system. With elections forthcoming in the summer of 2017, the agency was aiming to increase the number of citizens eligible to vote by issuing voter IDs in a short time frame. Continuously changing work processes demand ever new and practical card solutions – currently there is an unstoppable need for applications with ID cards; the capacities e.g. for customer and member cards tend to hit their limits. Integration of the solutions into existing IT structures is likewise a growing challenge. Accessories and consumables for ID cards, such as card covers, punch pliers, individually printed lanyards, carry straps and price tags are used in many fields. They are used in health care, in access control and time recording, in banking and in event and parking lot management. How can a retail supply and demand chain thrive in a disruptive environment? Today’s Internet-savvy shoppers can virtually buy anything, anywhere at any time. With a world of choices, they need a compelling reason to buy from a brick-and-mortar store. Yet, too often, they are disappointed with the in-store experience. Why customers are not happy? How big is the RFID impact in the EMEA business? Plant Access is growing its competitive edge using an industry-first RFID solution. Plant Access provides its services utilising a unique steel stillage design used to pick, cross-dock and deliver nursery plants to Bunnings Warehouse locations across Victoria and South Australia. The challenge grocery stores are facing today is to maximize profitability while keeping customer satisfaction high. Today, business life is characterised by quick processes and fierce competition. High flexibility, on-time delivery and undamaged goods go without saying. Efficient work processes, intuitive applications and current technologies are coming to the fore more and more. RFID tags can do much more than the user can imagine. In many vertical applications, RFID technology opens up new possibilities for perfecting process sequences and for organising them better. Introducing an automated system into a retail store represents a cutting-edge project that needs the right technology in place if it is to be a success. Adapting to meet customers expectation through the latest checkout solutions is a key goal for many businesses. Did you know that four out of five customers use a smartphone while they shop? And that 80% would prefer a more mobile-optimised shopping experience? It’s becoming well known that tablet POS offers the advantages of versatile cloud-based software alongside compact, low cost hardware. Think of us your warehouse as we work with you, so you can concentrate on your key goals. Did you know that physical stores still account for more than 90% of retail sales, according to Forbes? It’s a surprising statistic given the rise of online shopping, but it does demonstrate how traditional stores are still at the heart of the best retail experiences. Did you know that Star Micronics has replaced its TSP143U printer with the new TSP143IIU ECO? The TSP100 futurePRNT series from Star Micronics successfully combines a high-performance POS printer with ground-breaking software, four-year warranty including print head and cutter. What were the top PoS trends in the last year? Can Point of Sale (POS) solution keep up with customers’ expectations? In the past, a customer may have been willing to wait five minutes at checkout. Today, he or she is likely to tolerate less than two minutes. As a result, the speed and accuracy of retail scanning are critically important to the customer experience. In order to cope with the pace of change in 2017, retailers are having to reassess their business models and customer service processes. In cooperation with iZettle, BlueStar provides taxi payment solutions for black cabs in London to help drivers comply with recent regulations. Retailers today often have to choose between traditional fixed Point of Sale (POS) solutions or the newer and more innovative tablet POS, which has taken great strides in providing more flexibility and mobility – especially in hospitality environments. Today, nearly all retailers understand the reasons why they should offer a Click & Collect service, which include increased online conversion, the opportunity to sell an extended product range online and the chance to upsell at point of collection. Is it time to move to mPOS? Sitting in between an old-fashioned cash register and a full ePOS (Electronic Point of Sale) system, mPOS (Mobile Point of Sale) technology creates a fully mobile solution that offers huge flexibility to businesses of all sizes. Matching the right patient to the right medical history, medications and doctor's instructions is critical to providing the right care. How do barcode wristbands solve problems with patient identification? The consistent and accurate identification of patients has long presented a challenge for healthcare organisations across the globe. But with today’s technology, why should it? In healthcare environments, accurate data and traceability isn’t just a target, it’s a requirement. Users need to be sure they have the best solution in place for dealing with issues where accuracy is of paramount importance, such as blood and plasma bag labelling. A great solution is one that not only solves an problem but reduces the costs associated with that issue. In healthcare, there is a huge opportunity to automate the collection of information and the quality of patient care. In fact, automation within the healthcare industry can help to reduce errors and risk in the field, especially in hospitals where thousands of people receive care each day. In healthcare environments, patient safety is always goal number one. But on top of this requirement, patients also want assurance that they are receiving the right care, in the right way, based on the right information. Healthcare facilities have an equipment problem. In 1995, the average patient had eight medical devices at bedside. With advances in technology, by 2010 that number had grown to 13, and it continues to grow. How much risk can healthcare providers afford? Medication administration is often put in the spotlight as a key area for improvement in order to boost patient safety. So it’s no surprise that that ensuring accurate administration is a priority for healthcare providers around the world. A common requirement in most healthcare facilities is the ability to secure access to stores and supplies. After all, healthcare fraud is a significant problem and one that potentially involves a large cost. Ensuring patient safety, managing medical devices efficiently and labelling pharmaceuticals correctly are three key pillars in any healthcare environment. It will come as no surprise to hear that, like many other vertical markets, digital transformation is revolutionising the healthcare and medical market. Nurses at the bedside must balance hands-on patient care with an ever-increasing need to manage medical technology, all while electronically documenting every activity and observation. Counterfeit medication has become a major problem that can lead to people taking medicine that does not contain the correct ingredients or, even worse, toxic substances. It’s no secret that healthcare professionals are facing growing challenges. Tightening budgets and overwhelming demand leads to increased pressure, and having to rely on outdated systems can be a costly issue when it comes to time and money. Mobile computers, barcode scanners and printers are often used in healthcare settings for supply chain and management workflows. After all, maintaining, distributing, and tracking medical supplies and inventory is critical for patient care. How can automation benefit hospitals? It’s absolutely crucial that efficiency is a priority in any hospital setting. But maximising the capacity of the whole value chain whilst providing a tailored service to the needs of each client can be a tricky balancing act. Did you know that worldwide online retail sales are expected to hit $4.058 trillion in 2020, representing 14.6% of all retail spending that year? Developments in today’s technology has led to many warehouse businesses transitioning to devices built on Android and from keypad-centric devices to full touch screen. The growth of omnichannel shopping and demand for faster deliveries is redefining how warehouses operate. A shift in how consumers buy from multiple sources — from desktop computers, mobile devices and in-store — has created the need for smart warehouses to serve today’s connected consumer. What you need to know about intrusive interstitials? How do TSC printers help Panalpina to optimise warehouse and logistics? Will 2018 be the year of mobile operating system transition? There has been a shift in the mobile operating system landscape over the last few years, and it’s clear that the transition from legacy Windows is well underway. While there remains several distinct choices on the roadmap, the trade-offs and compromises associated with each have become clearer. Are barcodes and RFID better together? Each new day often brings a new buzzword, so it’s important we fully understand new terms as they quickly become part of our language and used on a daily basis. One such term that has joined some of the big buzzwords like IoT and Big Data is ‘smart city’. But what does a smart city actually look like? Can the visual warehouse and iPicking change logistics? Wearable devices being used in a business environment isn’t anything new. In fact, it’s been going on for more than 20 years. These handy devices are usually deployed to enhance employee effectiveness in the warehouse. They allow users to move around hands-free and pick product quickly and effectively. Are stand-alone barcode printer stations the future? Are you selling secure tablets? How can increased visibility lead to warehouse efficiency? To appeal to the individual needs of warehouse managers, resellers need the ability to create new applications for mobile devices in short spaces of time and without the need of a technical expert. Why are mobile apps needed in the warehouse environment? In most warehouse environments, the speed and accuracy of receiving and putting away goods makes all the difference to workflows downstream. Space is a major issue for modern warehouses. Order patterns, volumes and speed of delivery have all gone through rapid changes in the last five years and older warehouses may struggle to keep up unless they utilise every inch of available space as efficiently as possible. BlueStar Services offer another significant opportunity for our partners to improve margins and gain a competitive edge on hardware sales. Every business student knows about the ‘blade and razor’ model - the idea that when you’re selling razors, you can just about give away the handle because you make your real money on the blades. All warehouse managers know that speed and reliability when managing goods and tracking merchandise can help to improve efficiency while reducing costs. All of your warehouse customers know that when it comes to outbound workflows, much like inbound workflows, it is vital to keep the flow of material on the dock fluid and moving. Choosing the best mobile devices to fit a specific business is a task which can take months of careful planning and review, often including testing different models and gaining user feedback. Every year, there are new trends to examine, new ideas to consider, and fresh perspectives that can affect a business. 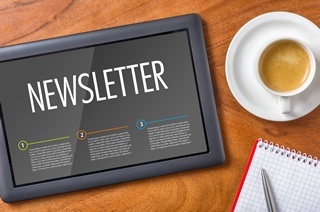 Keep your finger on the pulse with the latest news on Technology Solutions delivered directly to your inbox!